Well its all been a bit quiet the last couple of weeks between the injury and holidays so here is where we are up to. Car 1 – hasn’t really changed since the engine was put in, busy looking for a clutch and other parts. Car 2 – hasn’t changed since the engine and gearbox were refitted but will soon be getting back in to the swing and looking to put in brake lines, fuel lines and tank. Then bolt the bulkhead in to position. We will also be moving on to make the rear window sections for the body work over the next couple of weeks, then we can start spraying up the parts ready to go back on. Car 3 – this car is now mostly dismantled and the engine and gearbox up for sale. Car 4 – After repairing the rear diff pan, a couple of weeks ago after about an hours trip one of the core plugs decided to fail. it was replaced and again a couple of weeks later blew out again. Decision was made to replace the head gasket so this weekend was spent stripping it down, tonight we will fit the new gasket and bolt it all up again. Hopefully that will sort the issues out. 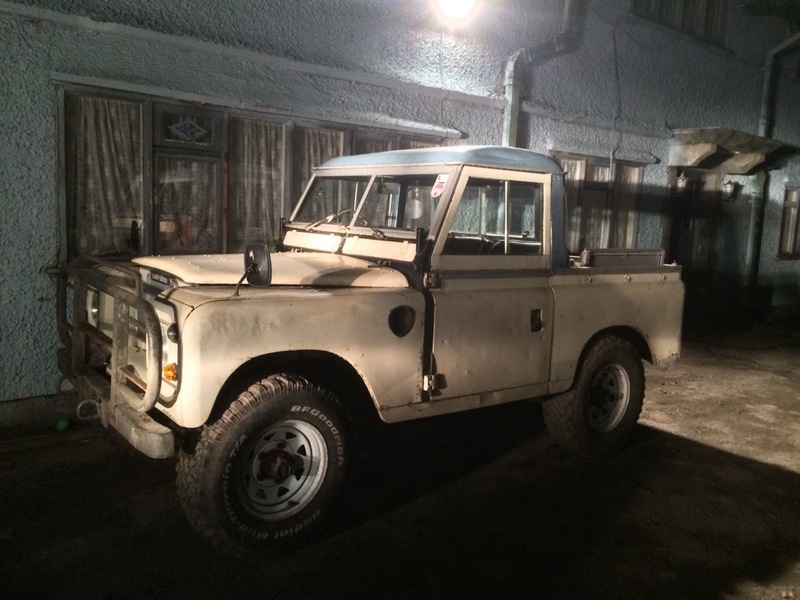 One of the other friends got a bit of the land rover bug after owning a discovery for a little while so he has now invested in a Series 3 pickup truck which is very nice, needs a little bit of work but its a runner for now. 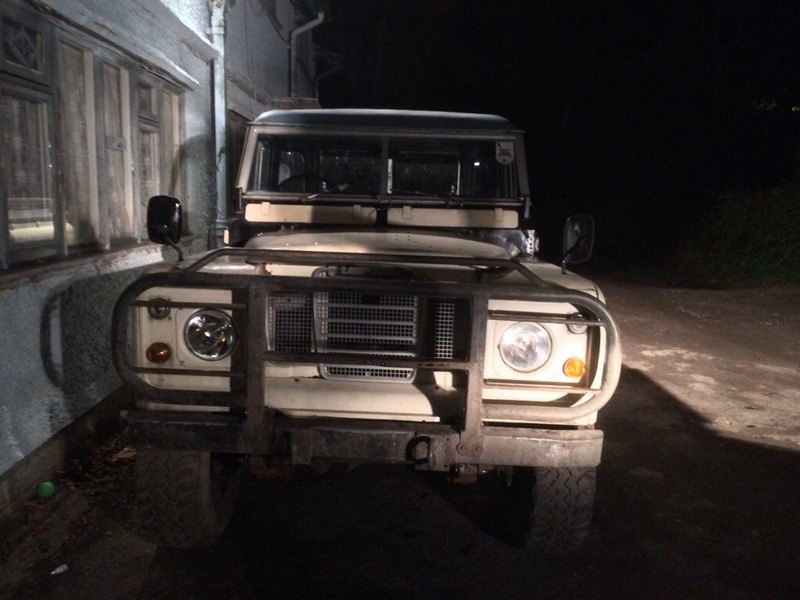 This entry was posted in 1966 Series 2, 1983 Ninety, 1993 Discovery 1, Intro and tagged 1966 Series 2, 1983 Ninety, Land Rover, Progress, rebuild, Wirral on October 7, 2013 by landyrebuilds. Are we going to get a picture of your friends Series 3? Give him my congratulations on its purchase and a big welcome to leaf sprung ownership. Ah, I see you have added the pictures! I like the truck cab, classic series shape 🙂 (Not so keen on the bull bar though) What plans does he have for it? Well for now, it is going to have a gentle restoration, such as new leafs and shocks etc, and a bit of a paint job, also needs rewiring, due to it being the worst wiring we have ever seen… The bull bar we have borrowed from car 1 to see what it looked like, whilst it is fitted to this car we are going to do the minor bit of welding that is needed on the light bar. We do have a standard bumper to go back on as the original was bent and made the car look twisted.